John Epstein - Senior Session Leader | Jack B. Keenan Inc.
John Epstein hadn’t planned on being a learning facilitator, but the course of his career changed in 2000 when he volunteered to be a graduate assistant for a training company. A senior facilitator advised him to become certified to deliver their content. The advice was heeded, the certification process began, and a life’s passion was found. Over the next several years John conducted a number of 12-week courses, earning evaluation scores that consistently exceeded global benchmarks. His enthusiasm and expertise led the company’s leaders to ask John to be a coach and mentor to their junior instructors. 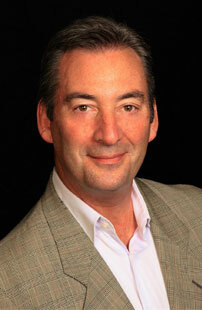 John’s extensive business-to-business sales experience and training certification opened the door to Nielsen in 2006. As Director, Internal Learning & Development, he worked closely with the client-facing associates in Nielsen’s US Media business – facilitating sales, negotiation and presentation skills classes, speaking at sales conferences, conducting needs analyses and developing learning curricula, among other duties. As the “ambassador” of the U.S. learning organization, John was honored on three occasions by a special request from Nielsen’s Vice Chairman – to be one of a handful of people hosting her international guests from the Fortune/U.S. State Department Global Women’s Mentoring Partnership. Over time, the scope of his activities reached a global group of colleagues and internal stakeholders across the breadth of Nielsen’s portfolio. In 2014, John conducted a train-the-trainer on four continents, certifying senior leaders from over 20 countries to facilitate Nielsen’s sales and negotiation programs. In 2004, JBK started a long-term engagement with Nielsen, beginning with a customized program called “Selling Beyond the Ratings” and when John joined Nielsen in 2006, quickly took over the management of the JBK relationship and was certified in several different JBK programs over the next 10 years, delivering learning to thousands of Nielsen sales people and managers. In 2015, John took his love for business, for sales, and for learning and formed his own company to provide contract facilitation services and rejoined the JBK team in a new role as a Certified Session Leader. John lives outside of New York City with his wife and two children.